Maj. Gen. Uzi Dayan says next head of IDF Manpower Directorate should be a woman or someone from the national-religious community. Maj. Gen. (ret.) 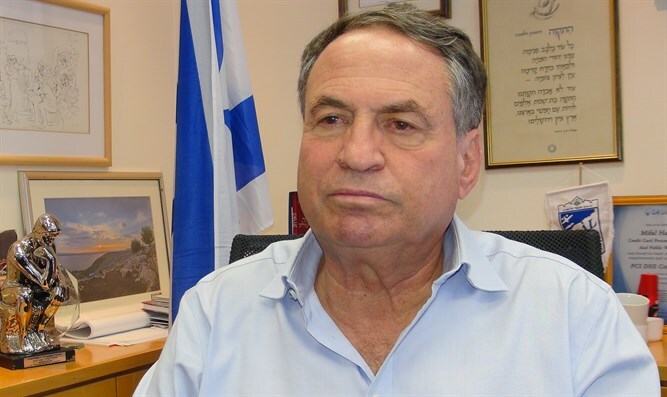 Uzi Dayan addressed the resignation of the head of the IDF's Manpower Directorate, Maj. Gen. Hagai Topolanski, after a laptop containing classified information was stolen from his home earlier this week. "Hagai, I really appreciate him." Gen. Dayan said. "He did what was required and right, because it was obvious where this was going, and he also set a personal example [of how to take responsibility for one's actions]. When such a thing happens, that is the proper reaction" to resign. Dayan wondered who the new head of the IDF's Manpower Directorate would be in an interview with Army Radio. "I think they should appoint a woman or someone who wears a kippa, since neither [population] has a representative on the general staff today." He said that there will one day be an IDF Chief of Staff who wears a kippa. He attributed his prediction to processes already underway in the IDF. "What is happening with the religious Zionist youth - they are nationally motivated to serve in the elite [units]. It is replacing what we did in the old days, the youth of the worker's settlements." "Much of the tension we see in the army-society relations is due to this shift." he explained. "In my opinion the head of the Manpower Directorate wearing a kippa would have the greatest impact, even more than the military rabbis wearing kippas."